Thoughtful features and functionality are staples of the cutting-edge solutions seamlessly integrated across the three floors of LG Home in La Moraleja. From the entrance to the living room, from the laundry to the kitchen, every part of the home demonstrates the inimitable ability of LG’s first-class products to blend effortlessly with any décor and architecture. 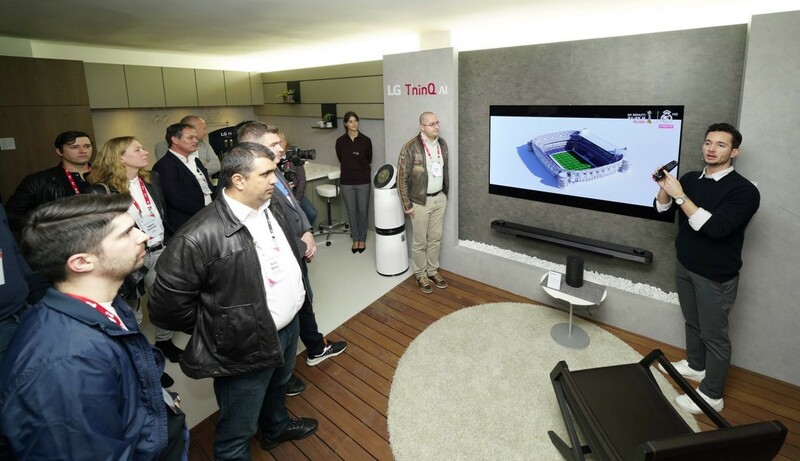 On the second floor, visitors are greeted by the luxe stylings of LG SIGNATURE and LG Objet appliances while downstairs brings them up-close and personal with LG ThinQ products, which use the latest AI technology to deliver a tailored user experience. LG’s guests are being treated to a first-hand look at the recently unveiled LG V50ThinQ5G and LG G8ThinQsmartphones as well as the crowd favorite LG HomeBrew capsule-based craft beer maker and the stunning LG 8K OLED TV.